Last week I finished working on an exciting commission, the project took about 2 months to complete and I'm looking forward to seeing the result. Since then, I've been working on my portfolio, focussing on food illustrations. 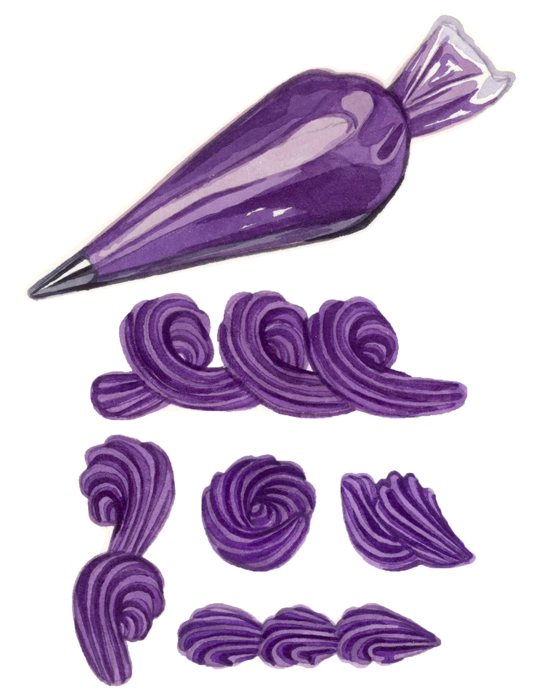 This month I've been working on a commission involving a lot of sweet food (will share the result as soon as I can) and I've really enjoyed painting frosting and icing. 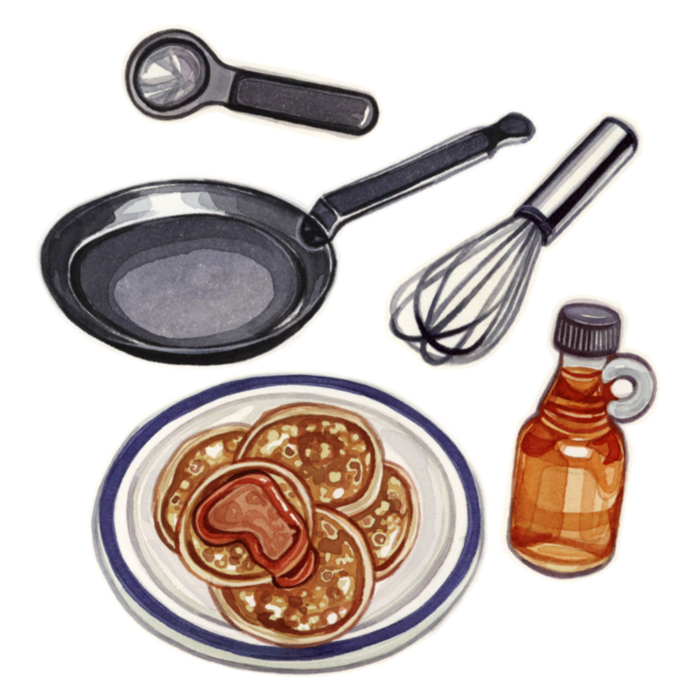 So, as I had some free time I thought I'd work on an illustration about frosting techniques. 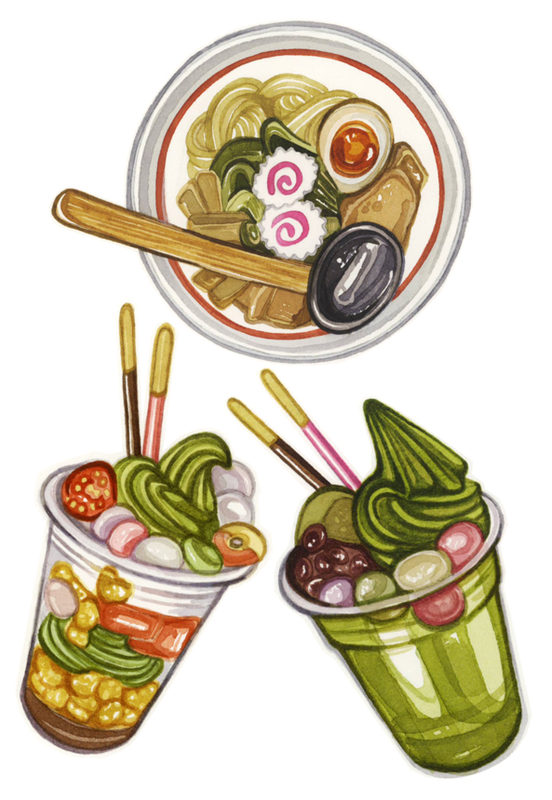 Well, I haven't updated my blog in a very very long time. A few things/big changes have happened since my last post, I got a kitty (a wonderful surprise from Jim), became a self-employed illustrator, worked on some nice little commissions - especially this one, looked for more commissions (I'm just so eager to work!) and I've been painting as much as I could. 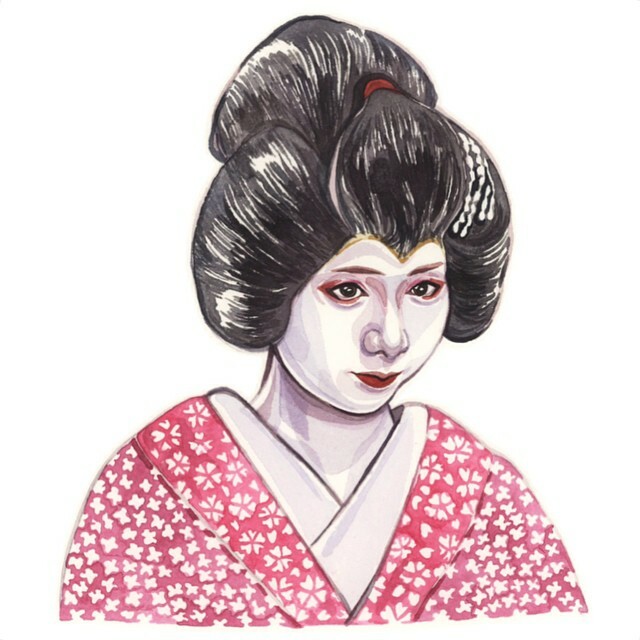 I worked on some more Japan-inspired illustrations like this Geiko. 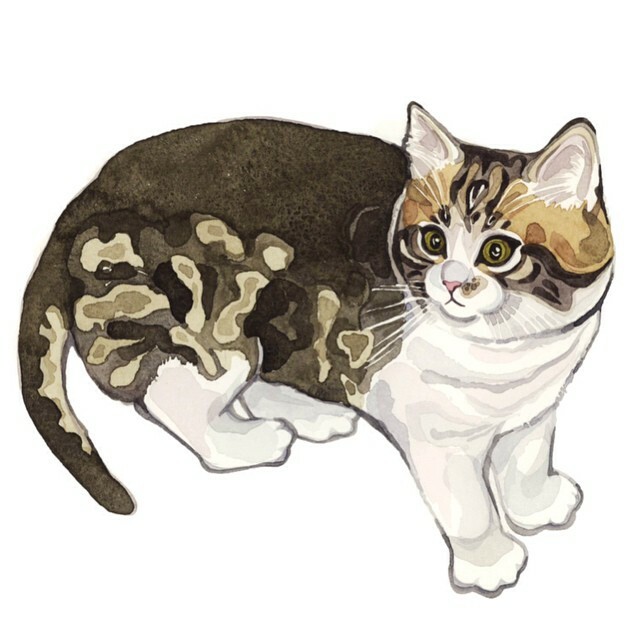 I love painting animals, especially cats (I'm available for pet portraits commissions by the way, just send me an email and I'll give you all the info). 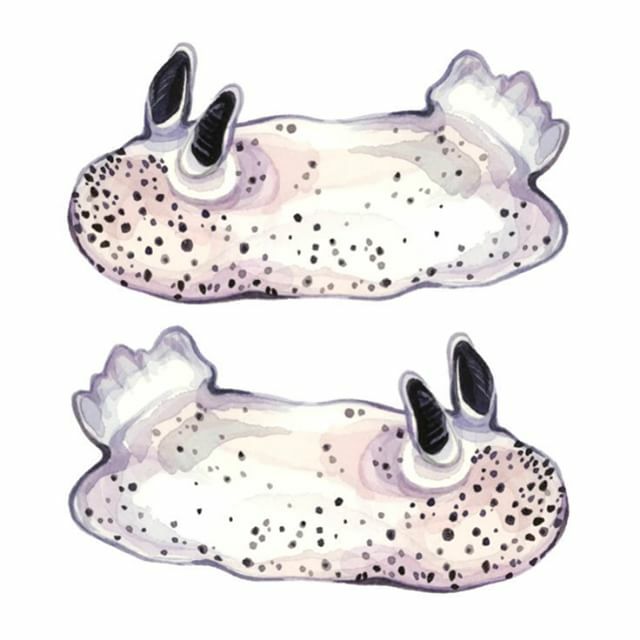 About the first illustration of this post, if you haven't seen what a sea bunny looks like, you should watch this. 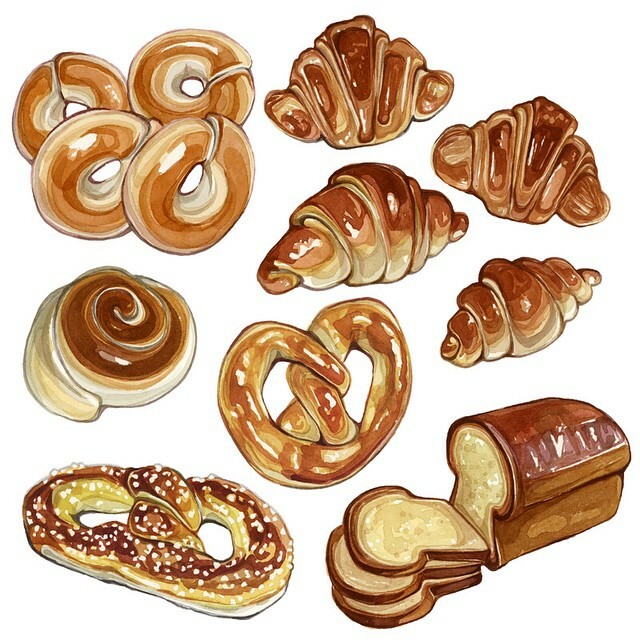 And I painted a lot of illustrations of my favourite subject, food. You can see more of my recent work on my instagram, I guess I've been using it as a blog these past few months but I'm going to try to keep this one updated a lot more from now on. My name is Laura Manfre and I'm a self-taught illustrator from France. Please, do not use my illustrations/photos without my permission.